This unheralded downtown Vegas diner is becoming a favorite lunch spot for me because the simple, nicely cooked burgers are so consistent. 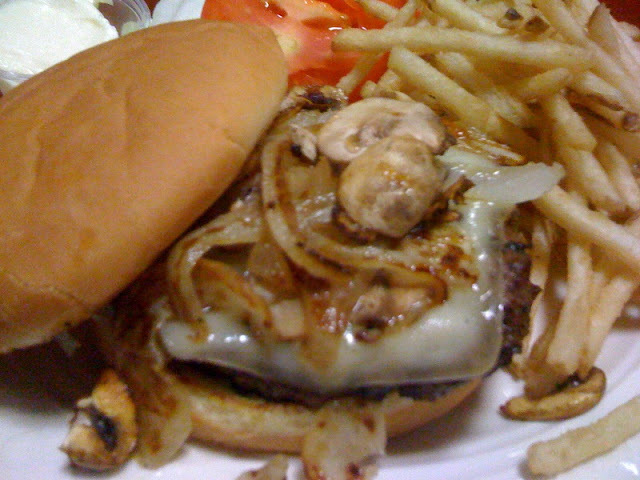 This easy choice has a thick slab of melted Swiss cheese and sauteed mushrooms and onions as adornment. Granted, you can find a mushroom and Swiss burger on pretty much every menu, and there's really nothing special about it. But these are the mushrooms and onions you dream of when you order something like this, perfectly griddled to that state of buttery-yet-still-crispness. Cortez done the plain old burger just right.